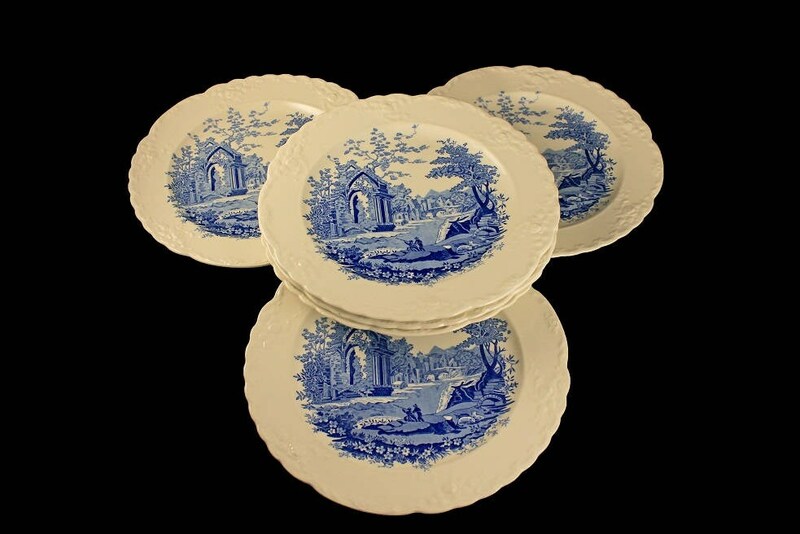 A gorgeous set of 6 luncheon plates by Taylor Smith and Taylor (TS&T). 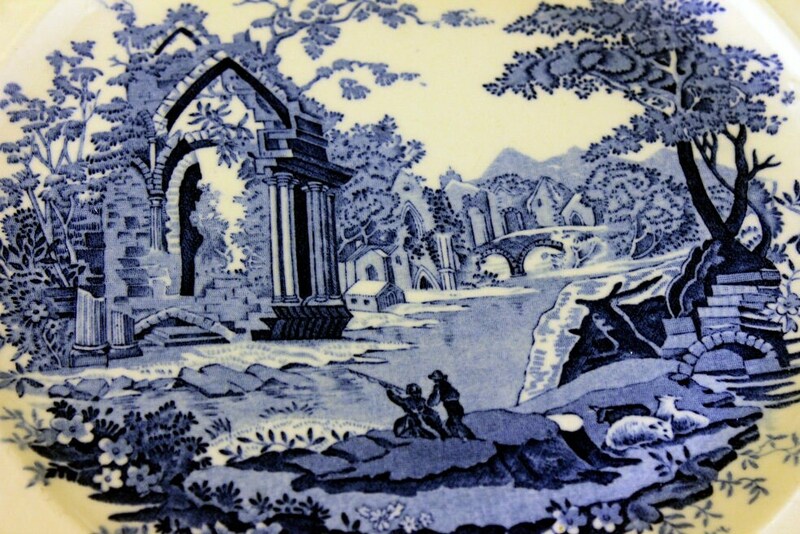 The shape is called Fairway and the pattern is called English Abbey. 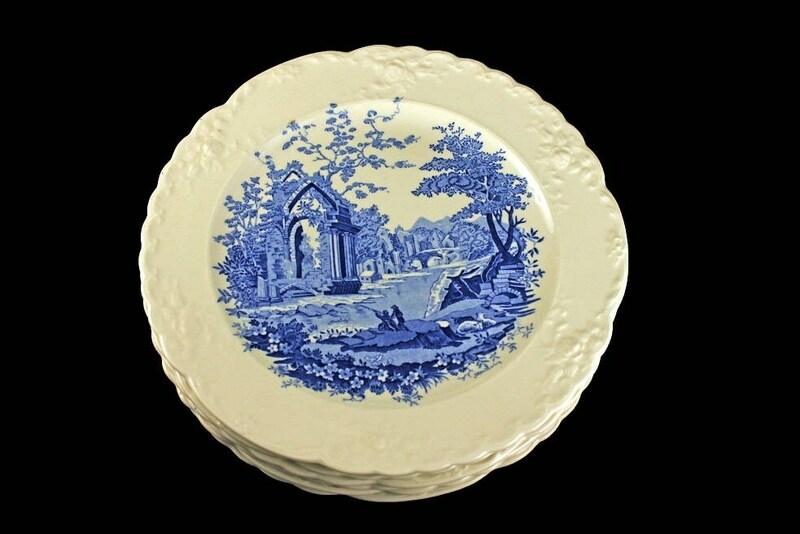 These plates are embossed with a floral design and the pattern is English Country Scenes in blue against a cream colored base. This pattern is very hard to find. 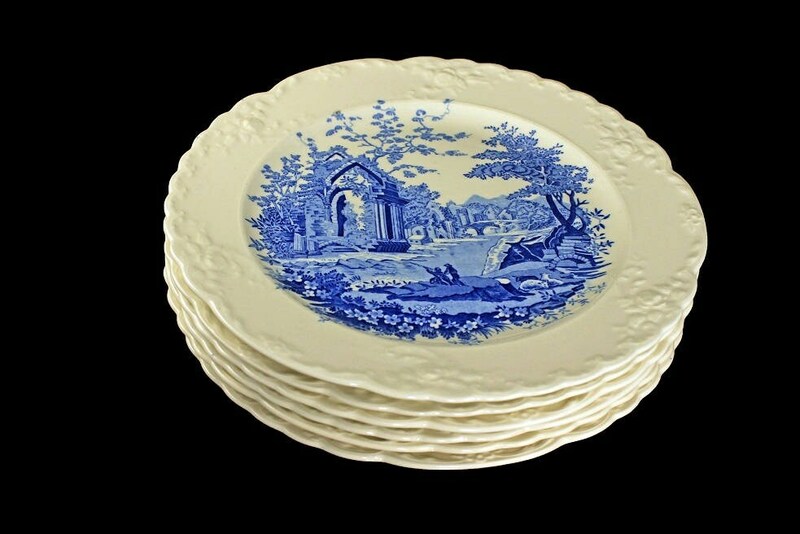 These wonderful plates would look marvelous on a table, sideboard, or buffet. 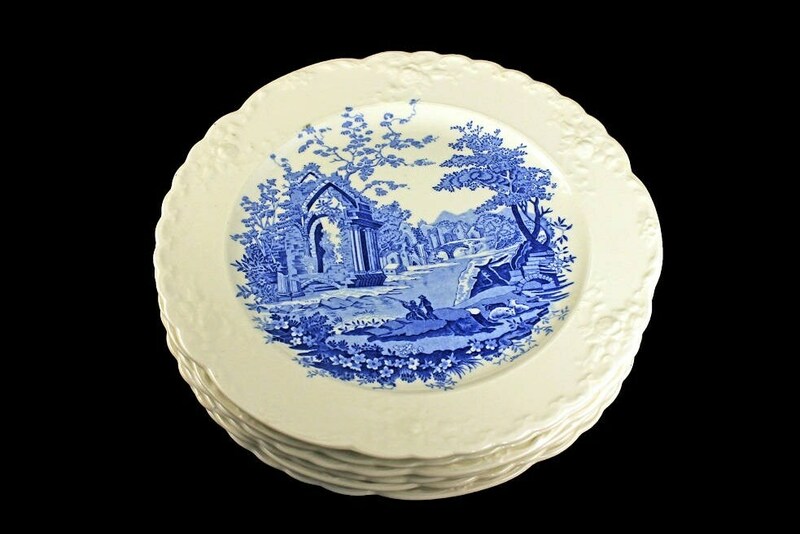 These plates are in very good condition. There are no chips or cracks. All the plates do have crazing and our price reflects this.